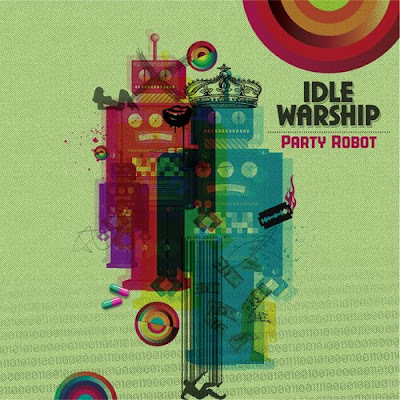 Idle Warship welcomes you to our first full length offering, Party Robot. This started out as a path to musical freedom. When we established Idle Warship, we did it for us. Now that we are giving you this music, Idle Warship no longer belongs to us, it belongs to the world. We don’t believe in labels for music. Labels make stop you from hearing something before you listen to it. We appreciate those who have taken this journey with us without judgment and enjoyed the ride. To everyone who purchased our music on iTunes and anyone who has bought a ticket to an Idle Warship show, this is for you. 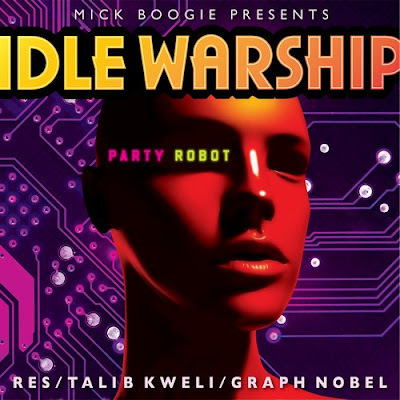 All my party robots stand up! VINYL PEOPLE DROP GEMZ!!! PERFER MONO!! NEW APPLE TABLET MAC'S WILL REPLACE LAPTOP!!!! JADA BRINGS BEANS OUT @ POWERHOUSE!! Royalty Family Music Group: GETS IT IN!! nike commercial by APLUSFILMZ "TAKE CHARGE"
D.R STREET JUSTICE FOR ROBBER!!!! EVERY TEAM NEED A...... RZA 4 WU TANG??? SWIZZY IN THE STUDIO DROPP'N CRACKJUICE!!! MY NIG SKYZOO MAKING MOVES!! BAD BOY & INTERSCOPE LINK FORCES!! !